​Mark Elliott was born in St. Catharines, Ontario, Canada and graduated from Secondary School with the Art Departmental Award in 1974. He studied painting during the Spring Session at the Elliot Lake School of Art in1974 and went on to attend York University’s School of Fine Arts as a Studio Major in Visual Arts, graduating in 1978 with a Bachelor of Fine Arts Degree, and earning the Heinz Jordan Memorial Scholarship in his final year. During the course of his studies, Mark worked with painters John Leonard, Ronald Bloore, Claude Breeze, Andy Fabo and Paul Slogget; multidisciplinary artists, Vera Frenkel, Ian Baxter (N.E.Thing Co.), and Don Mabie (Chuck Stake Enterprises) and art historian, Roald Nasgaard. Upon graduation he joined Bau-Xi Gallery on Dundas Street in Toronto, as a Gallery Assistant / Preparator, and later worked as a Manager for U-Frame-It Ltd., where he ran a picture framing workshop and Art Gallery in Yorkville, and designed and constructed picture framing franchises across the country, for the corporation. Mark became involve in the Queen Street art and music scene and his early work reflects the influence of that early Queen Street vibe. The work was raw and infused with influences from Abstract Expressionism, Post Painterly Abstraction, British Pop Art, and the earlier Dada and Constructivist movements. In 1981, Mark left Toronto and after touring Europe, he returned to St. Catharines, where he set up his studio on the third floor of 145 St. Paul Street and went to work for Potter & Shaw Photo Shop Ltd., located on the bottom floor. Mark designed and developed the Frame Shop and managed the store for the next five years. 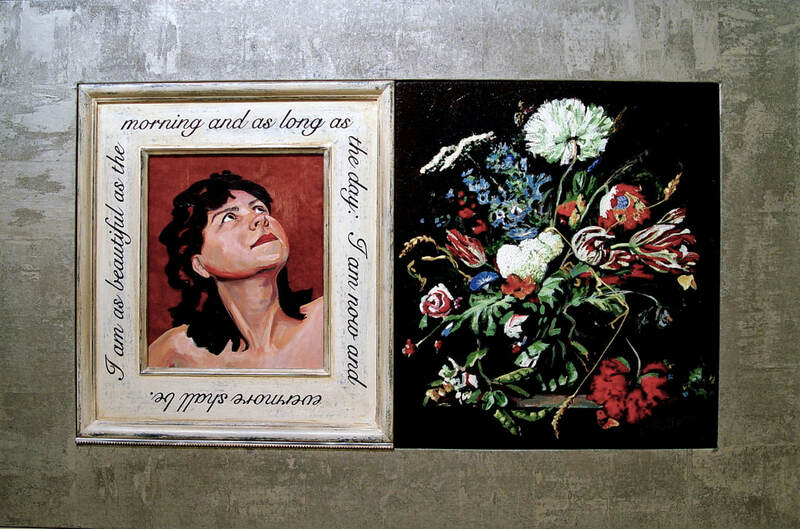 The travel through Europe affected the scale of Mark's artwork, which increased significantly in size and depth. The resulting installations continued to have the earlier pop cultural feel. 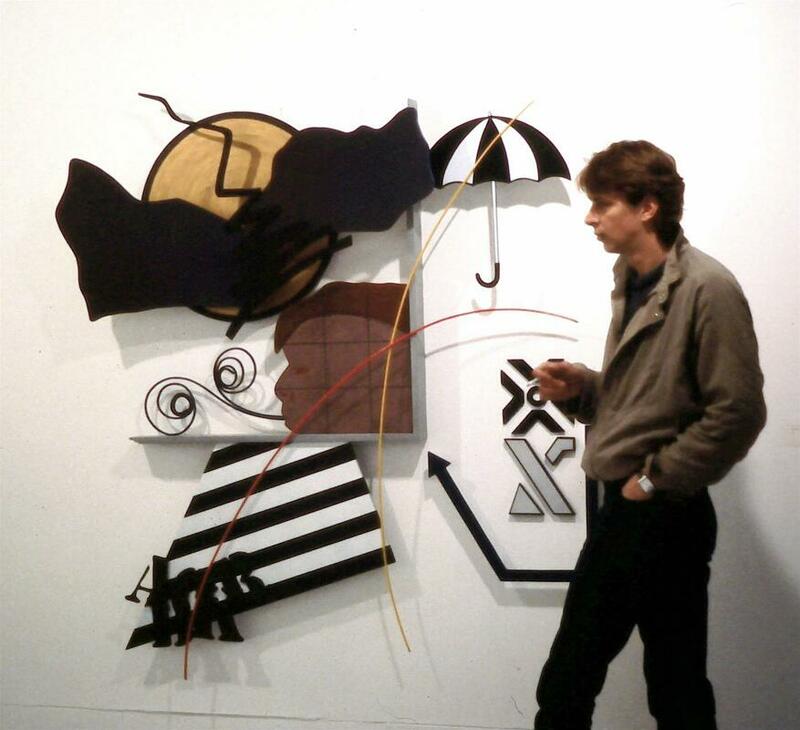 Mark Elliott with "A Passing Weather Report" in his Summer Street Studio - 84" w X 84" h X 54"d - Mixed Media - 1983. 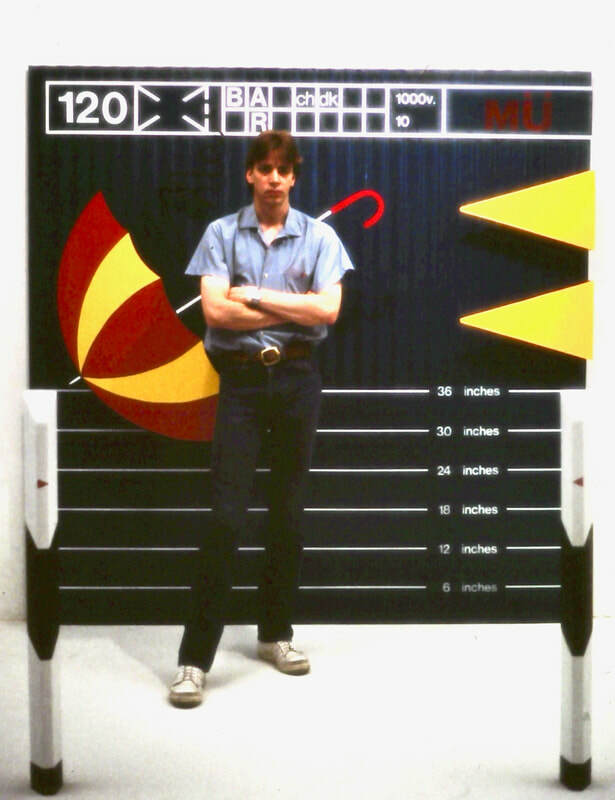 ​In the mid 1980’s, Mark’s work transformed as he concentrated on wall hung painted constructions. Viewed as if paintings, these works display a fascination with the depth of the visual plane, an interest in the manipulation of the viewer through composition and were an attempt to find a manageable, more meaningful scale. Mark joined in the Niagara Artist Company (now Niagara Artist’s Centre), during the early 1980's and was heavily involved in the first three permanent Galleries run by the organization. Serving first as a member, volunteer and Board Member and Mark later served as the President of the Organization. 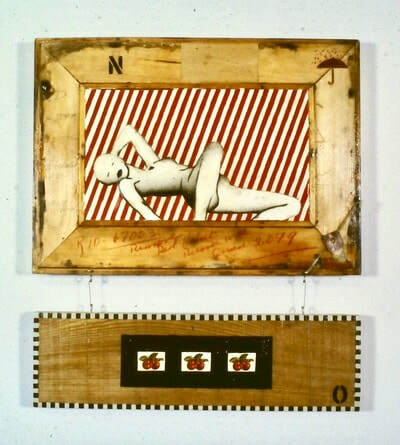 Mark remained a member of Niagara Artist’s Company through 1987, and exhibited throughout the Ontario Artist-Run Centre network during this time. He left the employ of Potter and Shaw in1986 and spent a year working full time on his series of constructions, entitled “Sick of Self Analysis,” which was later exhibited at numerous galleries including NAC, Ballet McKenzie Art Gallery, Rodman Hall Arts Centre and Gallery 101 in Ottawa. Mark Elliott with "SICK OF SELF ANALYSIS" in the Bond Street Studio. (Private Collection) 1986. In 1987, Mark opened his own store, called "The Framer’s Workshop" on St. Paul Street, in St. Catharines, where, as one of the first Certified Picture Framers in Canada, he specialized in the framing of original works of art on paper and canvas. He met Gallery Director (Gallerie Machan), and Visual Artist, Krys Kaczkan, in 1988 and they were later married in 1990. ​​Soon after they married, the couple decided to re-brand and diversify The Framer’s Workshop, and Elliott & Company House and Garden Ltd. was born. While the couple’s primary focus became the gift, home décor and picture framing business, they maintained a large visual art studio at 220 St. Paul Street and where they continued to work on their art. Krys and Mark continued to reside in Downtown St. Catharines and during the years that followed were witness to its rapid decline. Despite the continuing deterioration of the downtown and the continued neglect by the City, Elliott & Company was recognized as one of Canada’s leading home and garden décor stores and awarded "Runner Up - Canadian Decorative Accessory / Home Décor Retailer of the Year" in 2004 and was again honoured in 2005 with the distinction of "Overall Canadian Retailer of the Year.". Elliott & Company received international recognition was featured in many regional and national publications, including Style at Home Magazine. ​St. Catharines City Council for St. Patrick’s Ward 4. Generally regarded as one of the prime architects of Downtown Revitalization in St. Catharines, he was responsible for the formation of the Downtown Development and Revitalization Committee and the creation of a comprehensive measurable plan for rejuvenation of the core. Through extensive consultation, the Creative Cluster Master Plan was developed, which envisioned Arts, Culture and Creativity as the driving force behind a Downtown Renaissance. That plan envisioned a partnership with Brock University to develop the Marilyn I. Walker School of Fine and Performing Arts within the core, the construction of the FirstOntario Performing Arts Centre, the construction of the Meridian Centre sports and entertainment complex, the development of the nGen Digital Media Incubator Partnership, conversion of the street system to create a pedestrian environment, enhanced public realm, along with other features. As a City Councillor, Mark was the City lead in the development, design and construction of the FirstOntario Performing Arts Centre, and has been a contributor on many local cultural boards and committees; including the St. Catharines Culture Committee; the St. Catharines Public Art Advisory; the St. Catharines Museum Advisory Committee; the Rodman Hall Arts Centre Advisory Board; the Niagara Region Culture Committee; the Rodman Hall Coalition; and The St. Catharines Cultural Funding Task Force. Mark retired from Fine Custom Picture Framing after 30 years of quality, craftsmanship and service, in 2007. In 2010 Mark and Krys closed Elliott & Company House and Garden, to focus on their careers as artists and for Mark to focus on the development of the FirstOntario Performing Arts Centre. 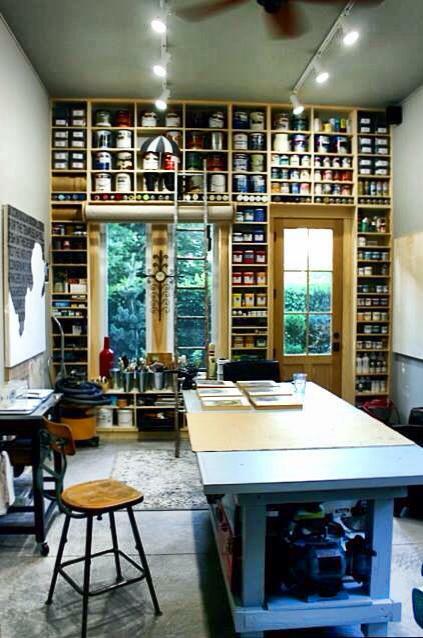 In 2012 they constructed a two-story visual art Studio in midtown St. Catharines. Upon the completion of the Performing Arts Centre project in 2015, Mark began a new career as a REALTOR® with McGarr Realty Corp. Mark left St. Catharines City Council after three terms and twelve years, in December of 2018 to focus on his own studio practice and his real estate career.